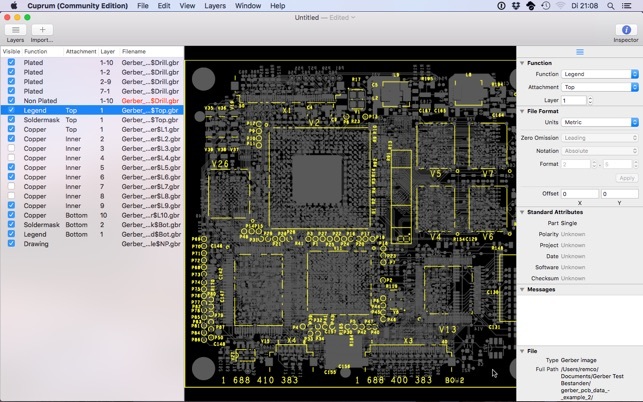 Cuprum is a multi-layer Gerber and Excellon viewer for the Mac platform. 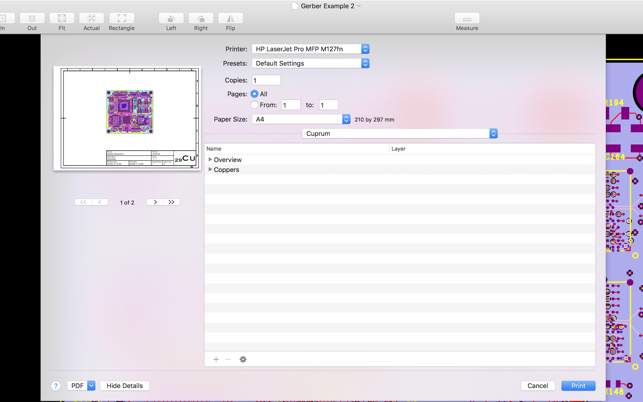 It supports viewing (and printing) multiple layers at the same time. A QuickLook plugin is integrated in the app, so you can preview files in the Finder and other apps. -Cuprum allows full zooming and navigation of the image with an intuitive interface whether you use a trackpad, magic mouse, normal mouse or pen tablet. -It can also zoom to actual size, which corrects for different monitor DPI’s, so actual size is actually actual size. -Print out (or PDF generation via the print panel) is supported with variable scaling and presets for actual size and page fill. -A QuickLook plugin is integrated which allows Finder to show a preview of a document. -The full version also includes 'All', 'Dimmed' and 'Grayscale' single layer modes, in addition to the 'Single' and 'Monotone' modes of the Community Edition. -You can also import color sets for the layers, the Community Edition can only export them. 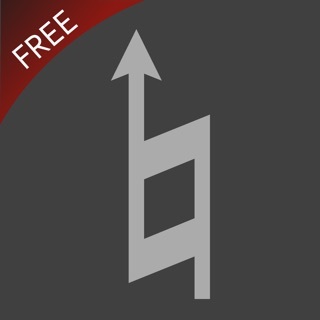 The free functionality of this Community Edition has been moved to the Pro edition, which is now a free download with the Pro features available through an In App Purchase. This Community Edition is no longer updated or supported. -Added warning to migrate to the Pro edition of Cuprum.